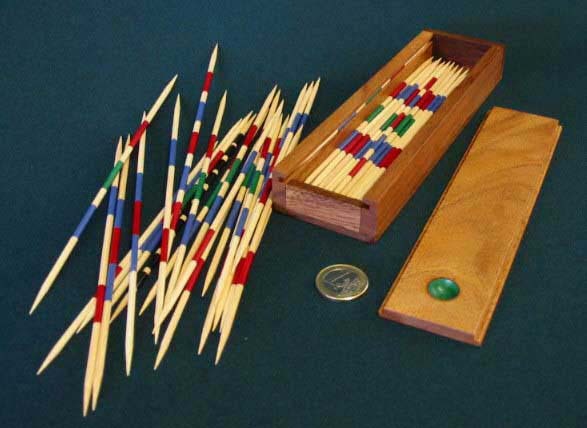 Each player must attempt in turn to release as many of the sticks as possible from a pile without disturbing the surrounding ones. Hardwood case with a sliding lid. Dimensions 56 x 195 x 26 mm.